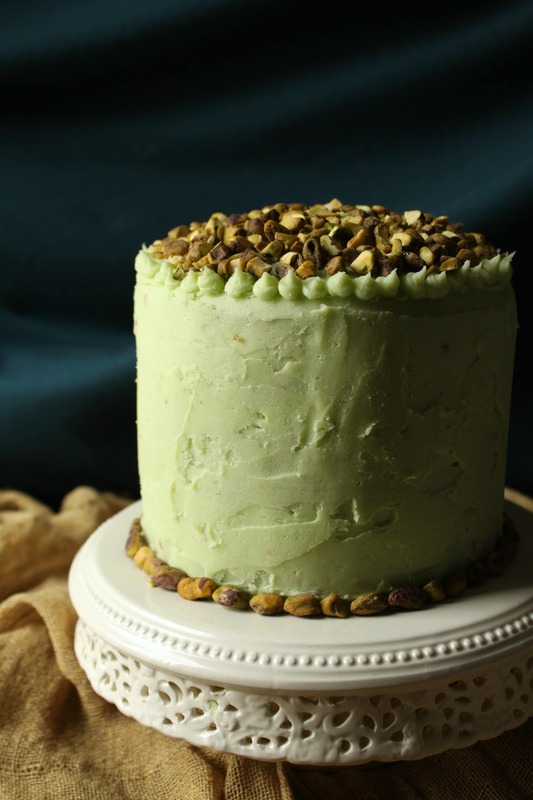 This Chai Layer Cake with Pistachio Buttercream is a sweet little cake with a whole lot of attitude. 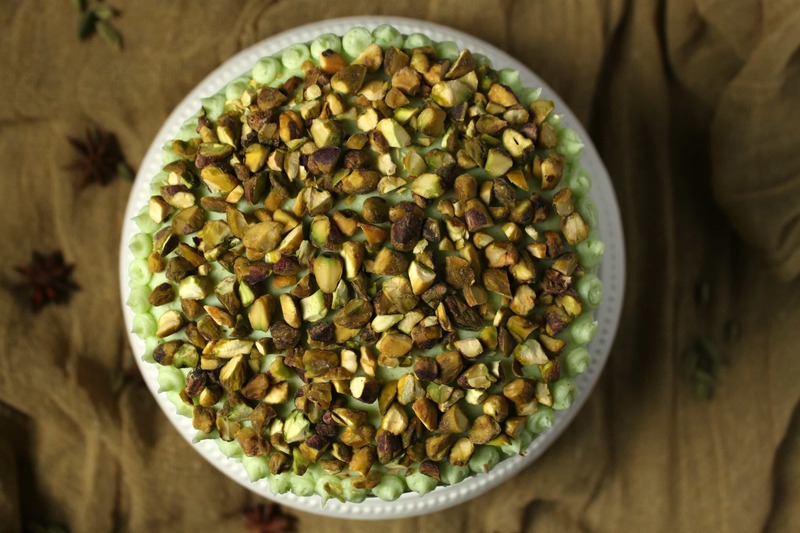 Dish ‘n’ the Kitchen Turns Six! Can you believe it?! I sure can’t. It seems like it was just yesterday I created my WordPress account and visited my first restaurant to review. When I look back at posts from six years ago, it’s surprising to see that I did so many posts on local restaurants. So much has changed since then! Back in the day, when I was a blogging noob, I was astounded that people wanted to read my blog. I still am. Mostly, I am just so grateful to be able to share what I am working on with you, whether it’s a new dish, preserves, or dessert, and yes, even local restaurants and events. Looking back at old post photos, I can see how much I’ve improved and how much farther I have to go. SEO wasn’t important at that time and social media was just beginning to be a part of the game. I spend way too much of my precious cooking/writing time promoting my blog but it’s a necessary evil. Blogging has given me much more than a platform to create food and write about it. It has given me a community. When I started, there was absolutely no way I would have a conversation with a chef or feel comfortable at a crowded restaurant opening. As an introvert, I still feel uncomfortable at events but I have gained the confidence to speak to industry folk. I’m connected to the Calgary food community in a way that I would have never imagined and I love supporting the businesses of great people! The downside is that I also spend many lonely hours working from home. Not many people realize how hard bloggers work. We’re not just Instagram influencers looking for a free meal (in fact if the meal is free I have made it a policy to NOT write about it!). Bloggers are cooks, food stylists, photographers, photo editors, designers, writers, copy editors, WordPress experts, technical wranglers, pitch writers, and social media marketers. 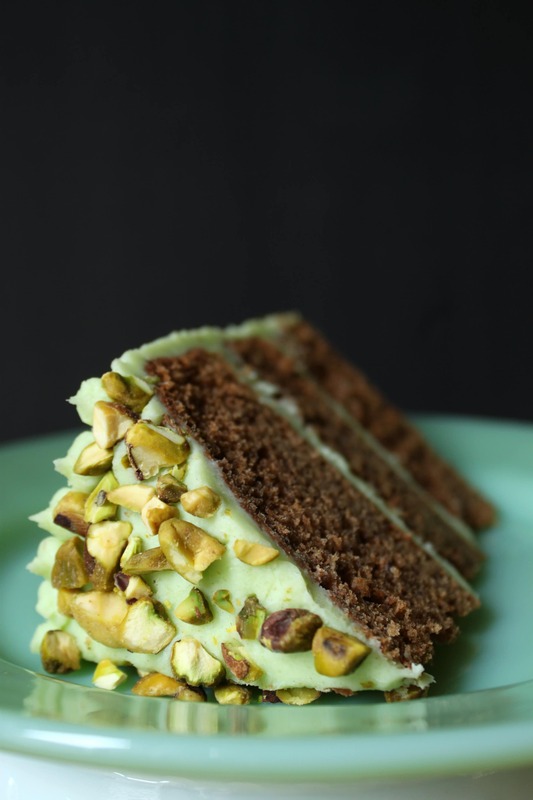 When we publish a blog post, like this Chai Layer Cake with Pistachio Buttercream, HOURS of work has gone into it. The camera always eats first, bloggers (and their families) eat second. They say if you love what you do, you’ll never work a day in your life. For the most part that is true for me. I love the process as well as the ability to create delicious and beautiful food. What I don’t love is the technical stuff like website maintenance. Keeping on top of the best way to promote and elevate the visibility of my work is the most challenging part for me. Last year was probably the biggest year for my little blog. After years of dragging my feet, I finally switched to self hosting. The switch brought a host of problems (I literally went through 3 webhosts until I found one I liked) and I’m still playing catch up with design and technical issues. At the same time, I optimized many posts so that they are easier for people to find out there on the interwebs and I also started taking Pinterest more seriously. The combination of SEO work and Pinterest really helped elevate blog views and sessions. By the end of the year sessions had gone up about 7 times what they were previously. All time views tripled, and I was able to apply for ads (and by the way, thank you for scrolling through!). These positive changes have renewed my blogging energy. Every morning I wake up with zest and vigour, ready to get on with the day’s tasks. I’m applying all that I learned in 2018 and combining that with new, even better content. I’m absolutely looking forward to a year of growth and great food! 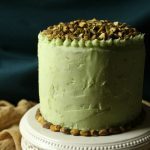 This Chai Layer Cake with Pistachio Buttercream is sweet little cake with a whole lot of attitude. 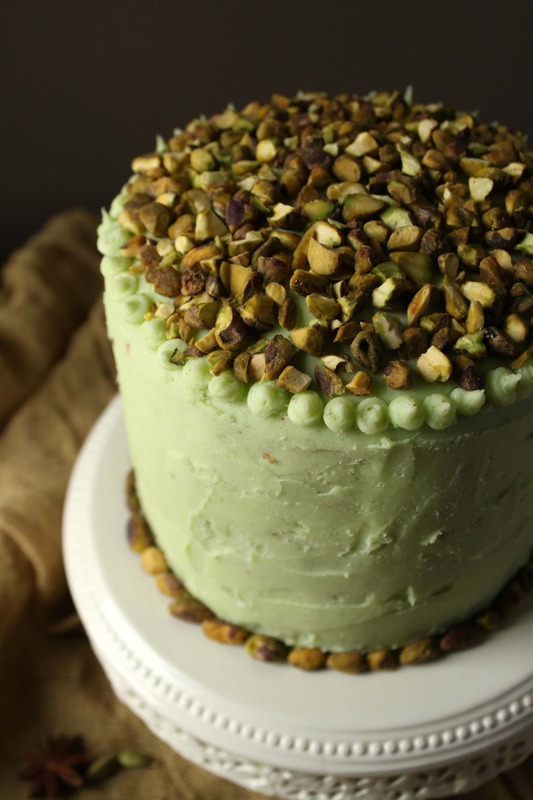 Recipe makes three 6 inch layer cakes and enough pistachio buttercream to sandwich between layers, cover the cake, and all some decorative touches. To infuse the milk: Add milk and tea leaves to a small saucepan. Bring to a boil. Remove from heat and let steep for ten minutes. Strain and reserve. Pre-heat oven to 350 F. Grease and flour three 6 inch cake pans. Line the bottoms with parchment paper. In the bowl of a stand mixer, beat sugar and softened butter together. Add eggs one at a time and mix until combined, scraping down side of the bowl. 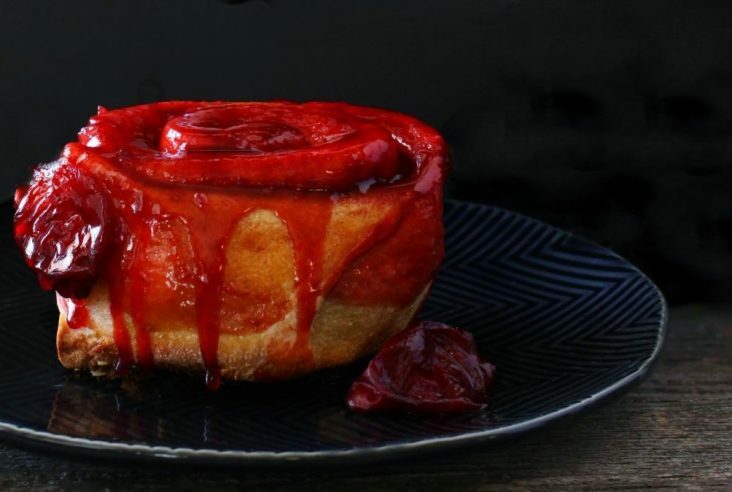 In a large bowl, sift flour, baking powder, baking soda, salt, and spices together. With the mixer on low, add a third of the dry ingredients followed by half of the infused chai milk. Repeat. Then add the last third of the dry ingredients. Mix further until all ingredients are incorporated, scraping down the sides of the mixing bowl. Divide evenly among the three baking pans (I used a scale to weigh them). Slap the pans down on your counter a few times to rid the batter of large bubbles and smooth down the top of the batter. Bake for 20 minutes then rotate pans in oven. Bake for another 15 minutes and insert a toothpick to test for doneness. If the toothpick comes out clean and dry, the cake is finished. If not, bake for another 5 minutes. 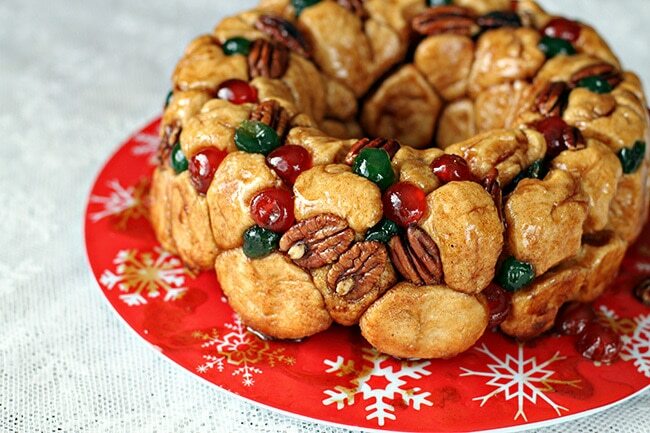 Let cake cool in pans for 15 minutes before removing from pans. Cool completely before decorating. In large bowl beat your butter until light and fluffy. Blend in pudding mix and vanilla. 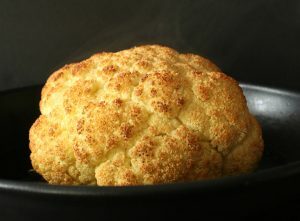 Continue to beat on high for about 5 minutes to get a perfect fluffy texture. 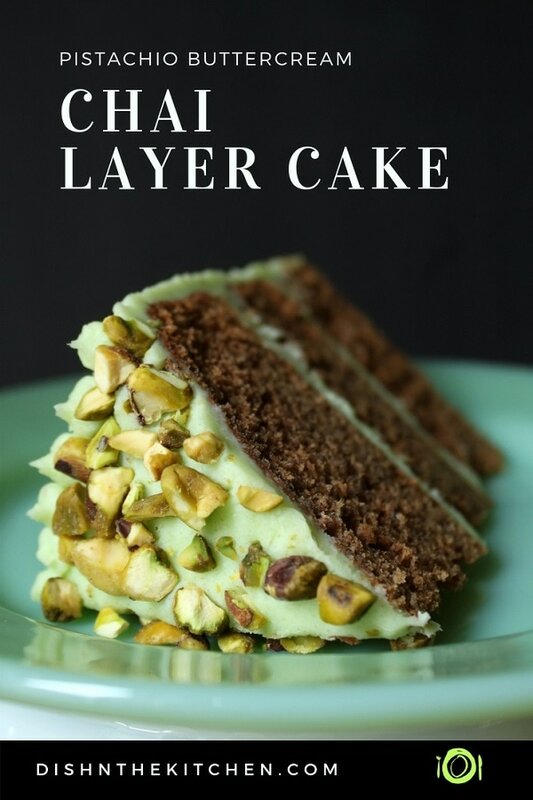 Place the first layer of your cake on a cake stand/plate and spread about 1 cup of frosting in the centre. Spread it outward to about 1/2" from sides. Repeat with second and third layers of cake. 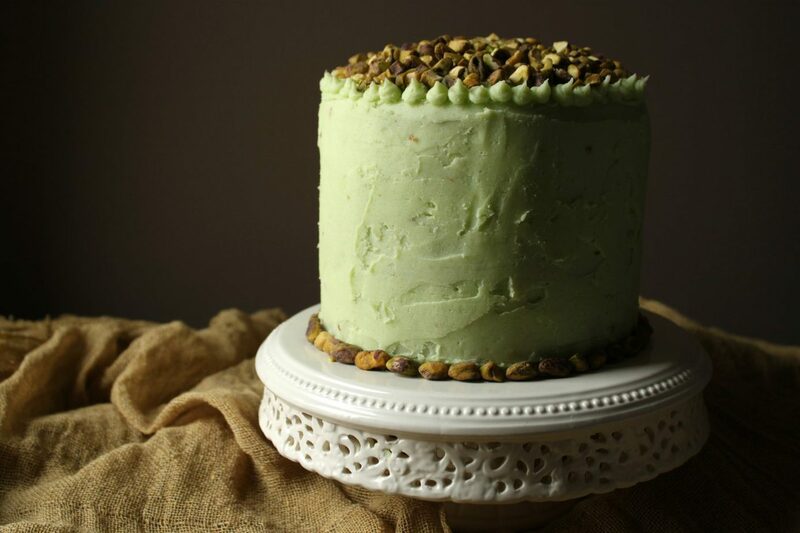 Continue spreading frosting along the sides of the cake until it's entirely covered (reserving about 1 cup of frosting for decorating).